Sift flour and suji together. in a bowl mix yogurt, oil, salt, sugar, baking soda and add this mixture to flour. Mix very well with flour. now with the help of lukewarm water knead soft dough of roti consistency. Knead well for 3-5 mins. Kneading is the key to soft and flufy bhaturas. apply some oil on flour. Leave dough covered with kitchen towel for 2 hours in a warm place. After 2 hours knead again for a minute. Heat oil in a deep frying pan. 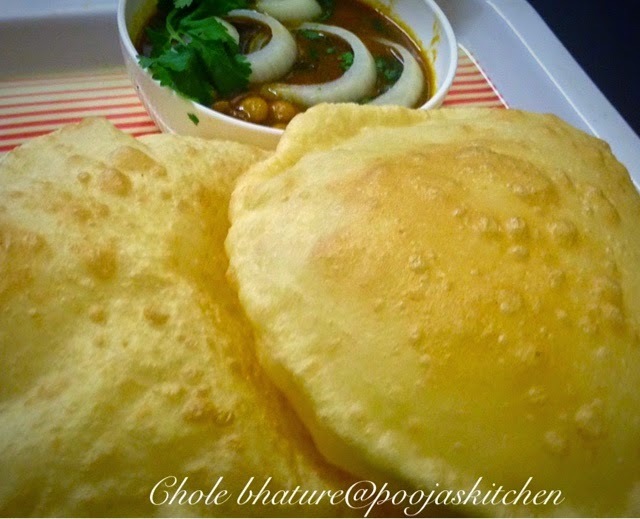 Pinch a ball of dough and roll in like puri but bit thicker than poori and slightly bigger. You can make round or oval shape. Fry and press slightly with ladder to make them pluffy. 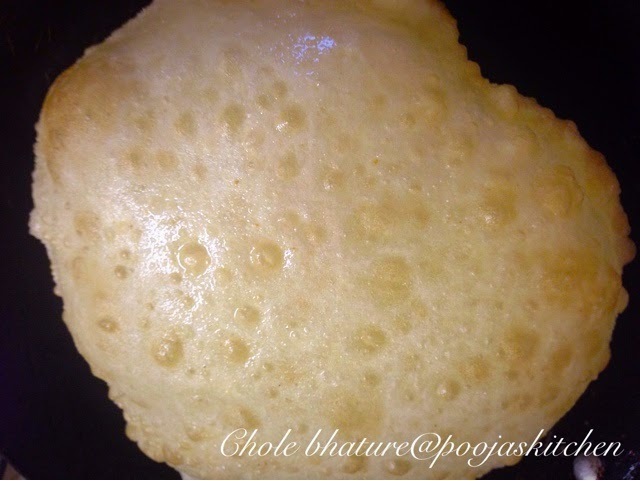 oil should be nicely hot for frying otherwise bhaturas wont puff up and become bit hard. there should be enough oil, fry 1 bhatura in 1 time. 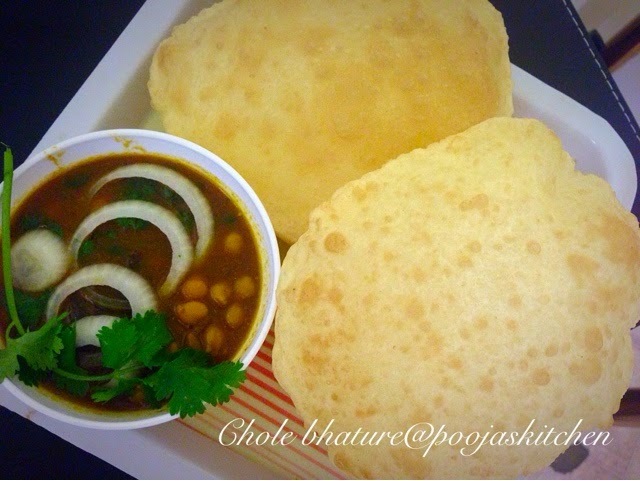 serve hot with chole.